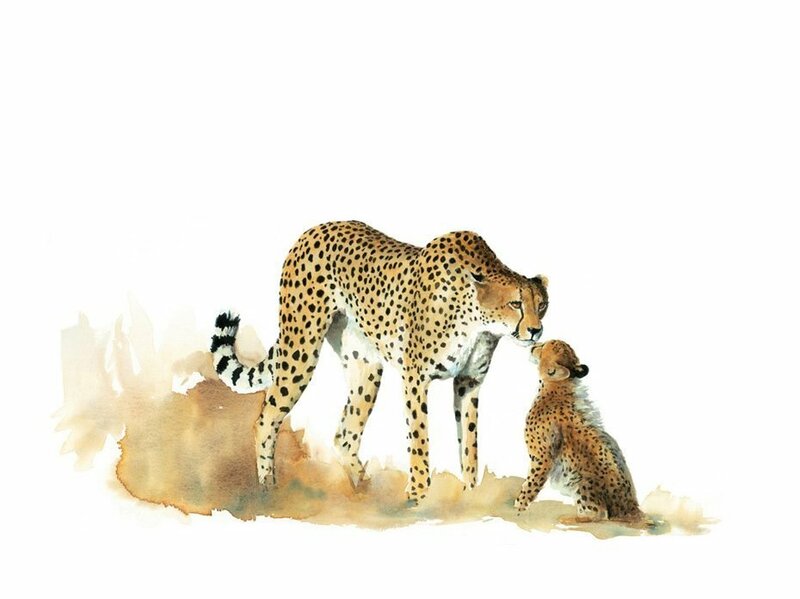 Painting of a cheetah mother and cub. 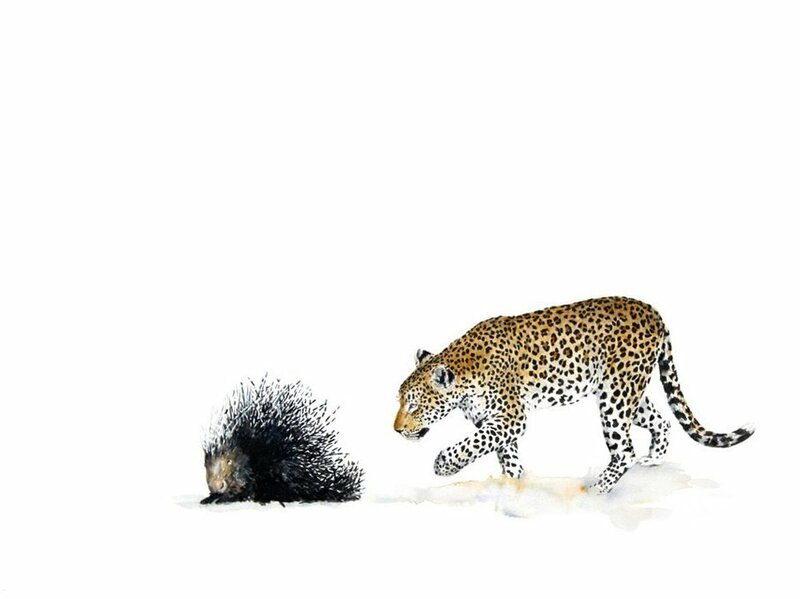 Painting of a cheetah by South African wildlife artist, Sue Dickinson. 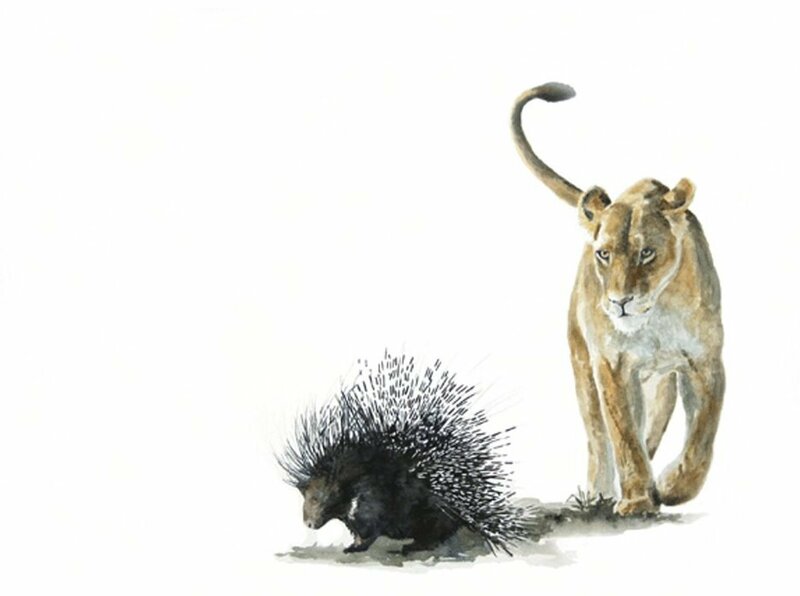 Original watercolour wildlife painting that is most notable for its simple and clean style. 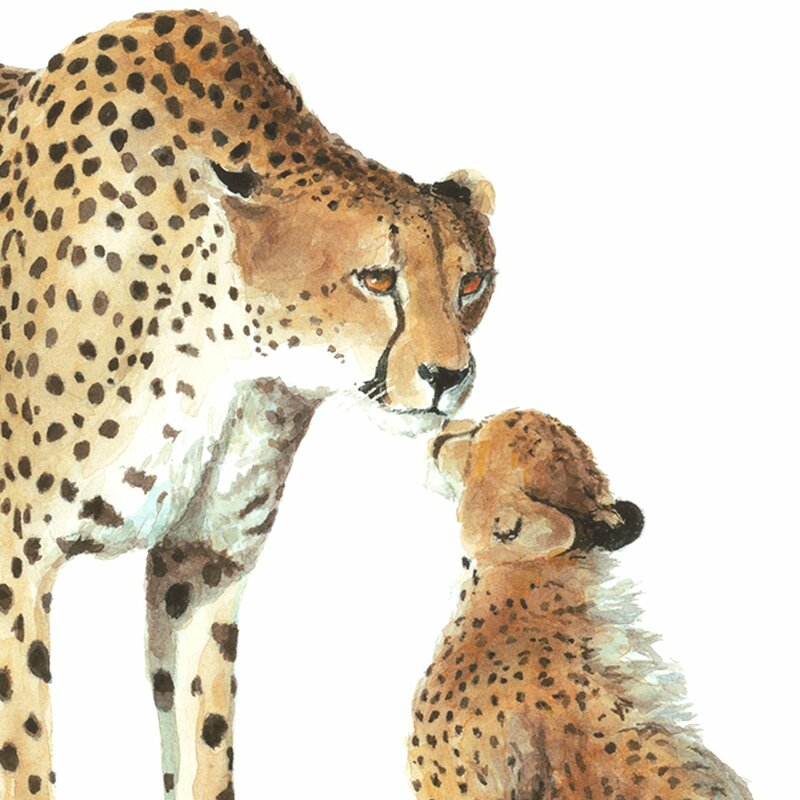 “And God Created Cheetah” is a painting that depicts the love between a cheetah mother and her cubs. Watercolour paintings are the most difficult of all painting mediums. Due to the way the paint cannot be removed after it’s put down. Because paintings can be ruined by a wrong brush stroke. 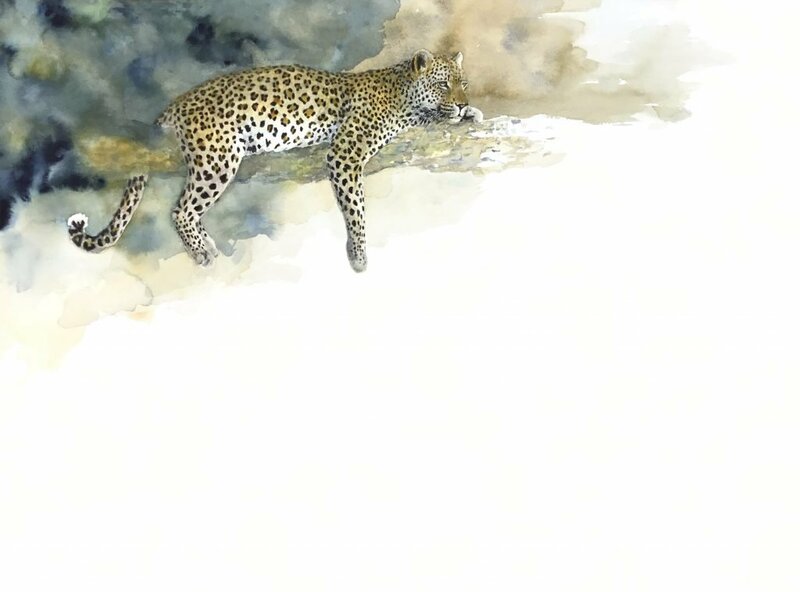 Sue Dickinson is an award-winning artist from South Africa.